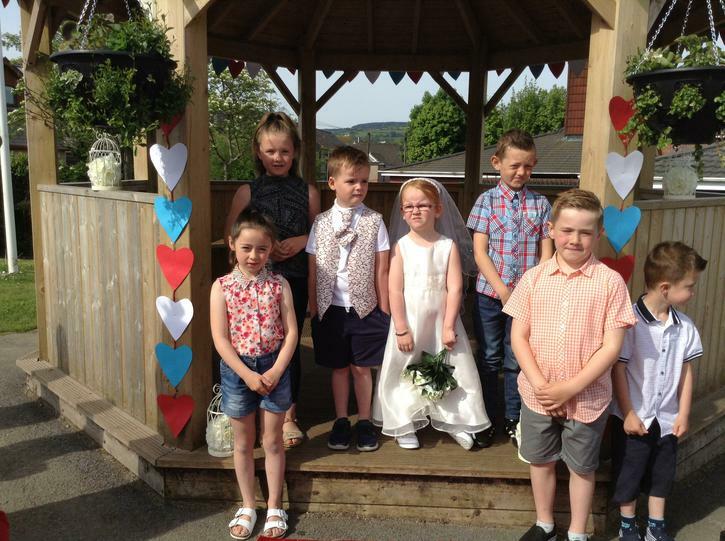 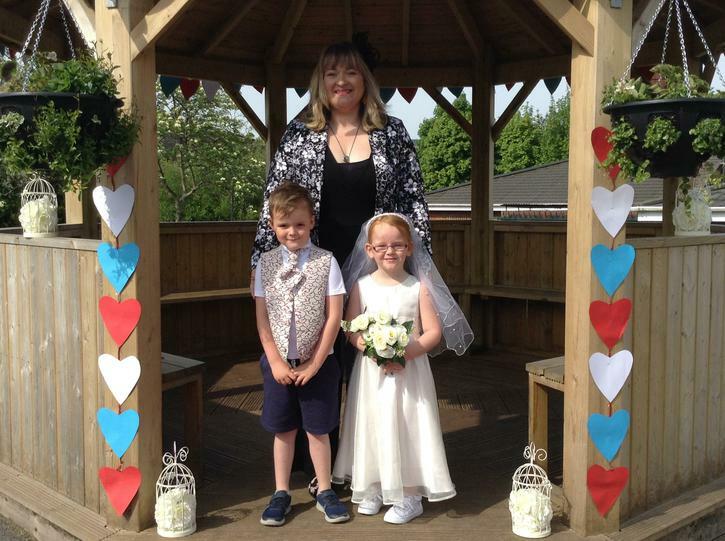 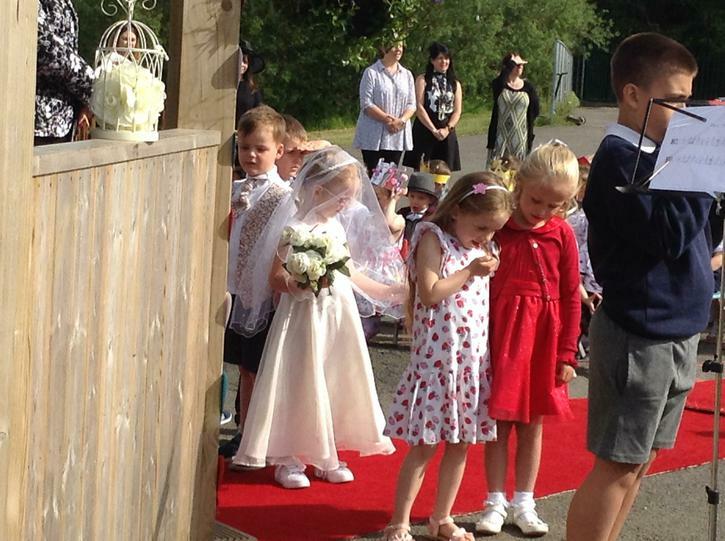 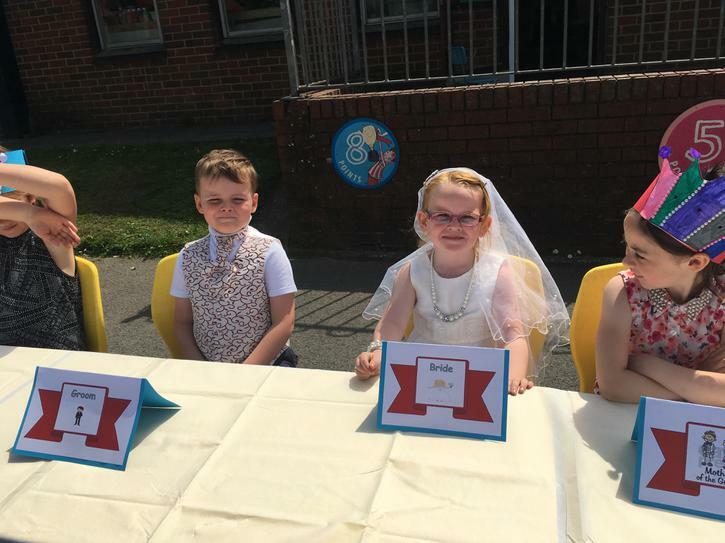 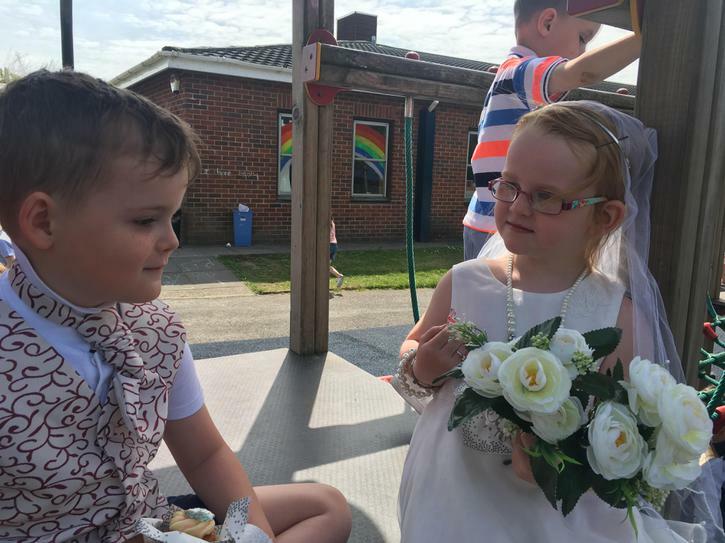 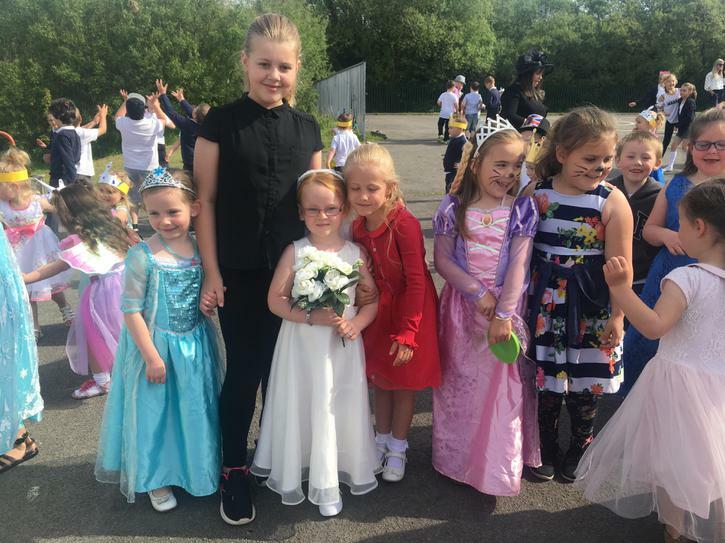 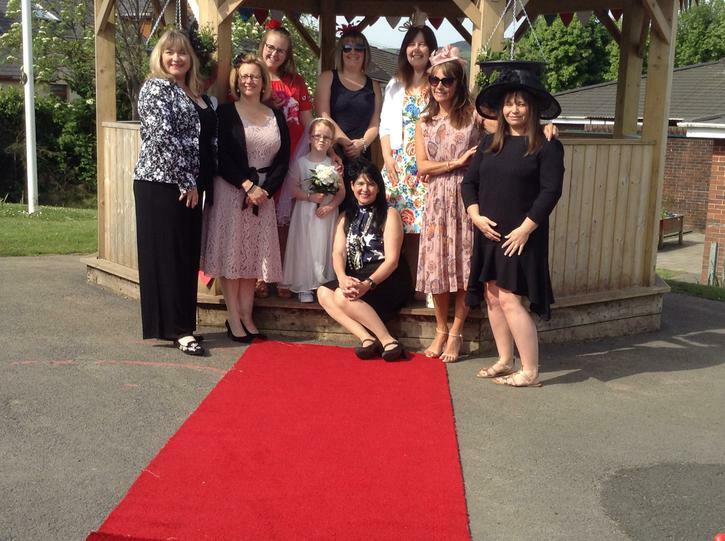 James and Olivia were married at Garth Primary school in celebration of Meghan and Harry's wedding. 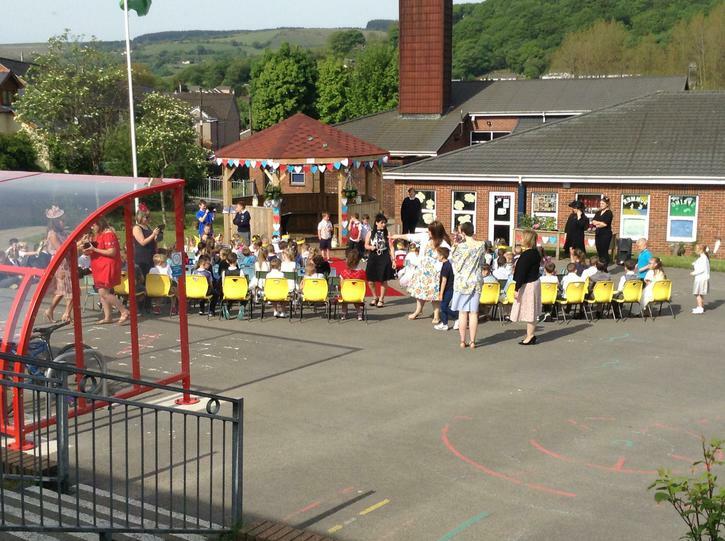 The children had a super day with the Foundation Phase being guests. 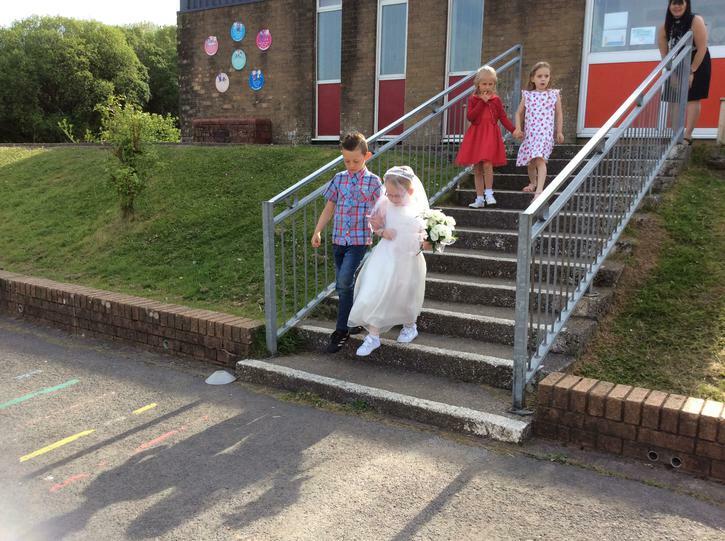 Abbie played The Wedding March on her violin as the bride was escorted by her father and bridesmaids down the aisle. 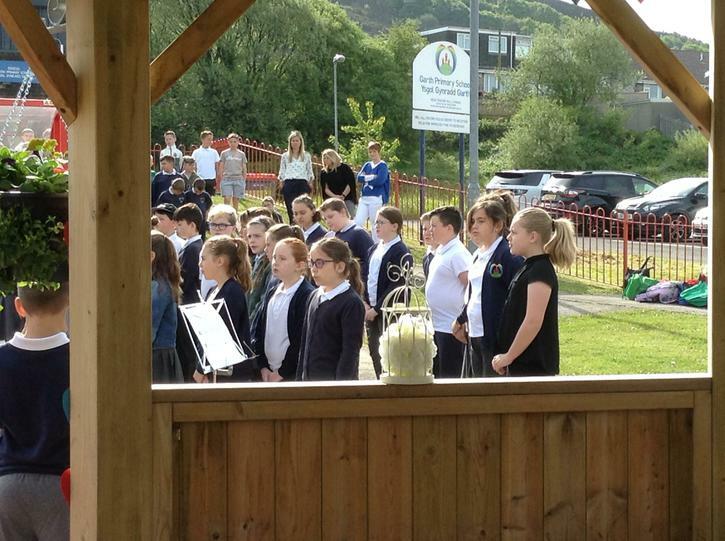 The school choir sang after the ceremony and Harry did a stunning solo to the Greatest Showman. 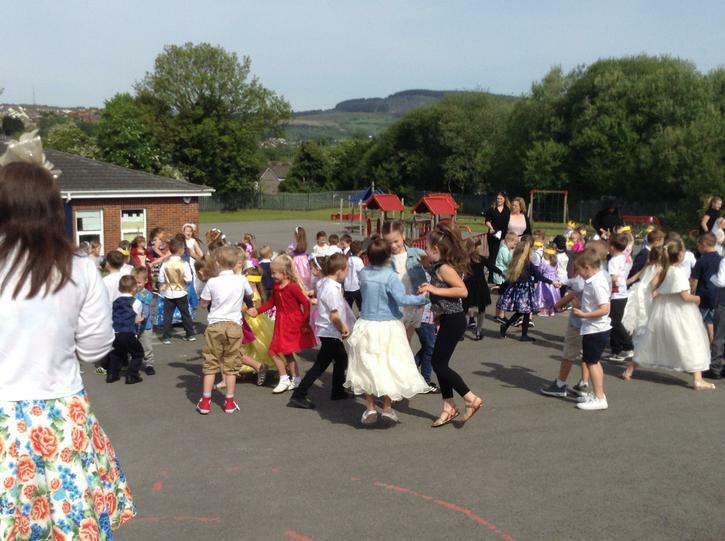 A wedding ball was held in the afternoon with dancing and cake. 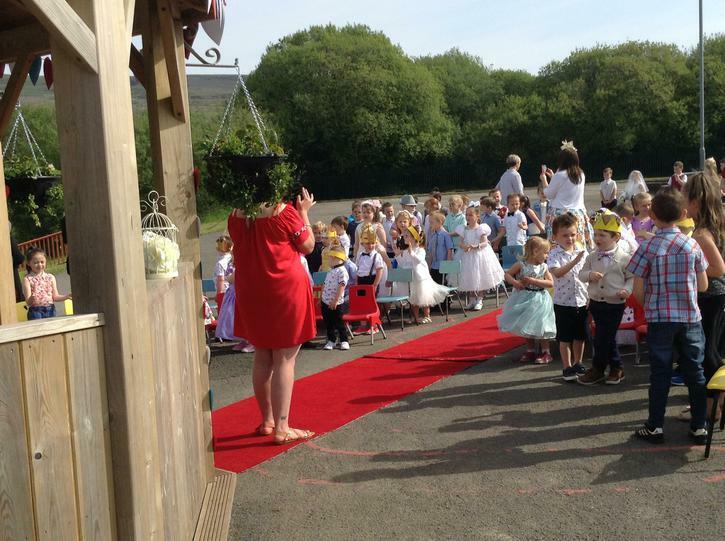 Everyone looked stunning and the weather was perfect!